Cherry and Spoon: Exclusive Announcement of Lyrics Arts' 2018-2019 Season! Exclusive Announcement of Lyrics Arts' 2018-2019 Season! 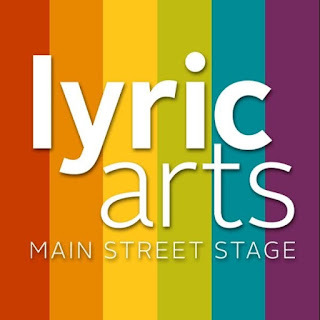 For the second year in a row, I am honored to bring you an exclusive announcement of Lyric Arts' upcoming season! I've been a fan of the Anoka theater for years, and am excited for another thrilling season of theater in the 'burbs (including what I believe is the regional premiere of Idina Menzel's latest musical, If/Then). If/Then, a Tony Award nominee for Best Original Score, tells the story divorced 38-year-old Elizabeth, who is hoping to find a new start in New York City. When Elizabeth finds herself in a park, she has the chance to go by a new name: either “Liz” or “Beth”, ultimately showing the two possibilities that her life could take. If/Then made its Broadway debut in March 2014 at the Richard Rodgers theatre starring Idina Menzel in her first Boradway production after starring in Disney’s Frozen. A civil conversation turns to childish chaos in God of Carnage, which tells the hilarious story of an attempt at parental peace talks that devolves into parents behaving badly after their children are involved in a playground fight. Considered to be a dark comedy—with no manners—the show explores the themes of our place in society and the perceptions that it provides us as well as how civility is formed. God of Carnage was first produced on Broadway at the Bernard B. Jacobs theater in 2009. Light up your holiday season with a heartwarming tale of a young girl’s steadfast belief in miracles—and Santa. In spite of recent heartbreak, young Jessica Riggs’ holds tight to her bright eyed view of life. When she discovers an injured reindeer in her backyard, she is convinced that it is Prancer. Her unwavering hope in healing and in returning Prancer to Santa inspires the community around her, while also challenging her disheartened father. Based on the 1989 feature film, also written by Greg Taylor, this magical tale is sure to capture the Christmas spirit in all who see it. The play was first produced at The Rose Theater in 2016. This is the first time audiences will be able to see this charming play here in the Twin Cities. "The perfect Christmas revue! Crackles with energy and joy!" says LA Weekly. Winter Wonderettes is a seasonal celebration that finds our fabulous and funny female quartette entertaining at the annual Harper’s Hardware Holiday Party. Winter Wonderettes is the holiday extension of the long-running off-Broadway hit The Marvelous Wonderettes. The show will be making its Twin Cities debut on our stage. In today’s world, most people carry with them a cell phone. A cell phone that holds the information and data in our lives but also controls the connections we have with people. In Dead Man’s Cell Phone, a wildly imaginative comedy, we explore the connection and disconnections that technology brings to our lives. Sitting in a small café, this play begins with the incessant ringing of a cellphone. We quickly learn the man’s whose cell phone is ringing is dead. Jean, a mostly unexceptional women, decides to answer the dead man’s cell phone. She soon finds herself connecting with his family and uncovering some unusual information about the man’s life, all while falling in love with his brother. Dead Man’s Cell Phone was awarded a Helen Hayes Award for Outstanding New Play. The show made its debut in 2006 at the Woolly Mammoth Theatre Company. Sense and Sensibility is a story of sisterhood and the adventures of finding love, reveling in romance and hurting from heartache. Each sister’s experience is deeply rooted in her own level of sense and sensibility. Adapted from Jane Austen’s beloved story, Sense and Sensibility follows the lives of Elinor and Marianne Dashwood after the death of their father. The close bond between the sisters persists not only through their new circumstances, but also their romantic relationship trials. The Kate Hamill adaptation of Sense and Sensibility made its world debut by Bedlam at the Sheen Center in New York City in 2014 with a minimalist production directed by Eric Tucker. Born into poverty, Eva Maria Duarte de Peron rose to her position of political power with a great passion for the people of Argentina. Evita, a Tony Award winner for Best Musical, celebrates her life and legacy with beautiful music by Andrew Lloyd Webber and lyrics by Tim Rice. This inspiring story of Eva Peron, Argentina’s First Lady, recounts her life as a young girl who aspires to be an actress, but ultimately finds success in politics and influence with the people of Argentina. This powerhouse musical debuted 40 years ago at the Orpheum Theatre in San Francisco, followed by the Broadway production at the Broadway Theatre in September of 1979. Everyone’s favorite first grader returns in this hilarious tale that focuses on the importance of honesty. Junie B. Jones has a huge problem! Her furry red mittens are missing, and that can only mean one thing—they’ve been stolen! But when Junie finds a really cool pen on the floor, the finders keepers’ moto applies—or does it? The play, adapted by Allison Gregory, is based on the popular book series by Barbara Park. Junie B. Jones is Not a Crook finds Junie B facing tough decisions about what is right and wrong. She faces the moral dilemma of defining the differences between “finding” something and “stealing.” All young girls face these moments of morality each day and this show is a delightful portray of Junie’s experience and how she navigates her way through the situation. Our season would not be complete without honoring the first play to debut on Broadway that was written by a women of color, A Raisin in the Sun. We are honored to bring this show to our stage during the 60th anniversary of its premiere at the Ethel Barrymore Theater. After the death of their father, an African-American family is given the chance to accept an insurance buyout, ultimately leading to struggles over racial inequality and the importance of one’s culture. Based on the novel written by Amanda Brown, Legally Blonde became a popular musical when it made its Browadway debut in 2007. The New York Times, wrote that the show was a "high-energy…. hymn to the glories of girlishness." Legally Blonde is all about Elle Woods, sorority president! After she is dumped by her boyfriend Warner for a more serious girlfriend, Elle decides she will do anything to win him back, even if it means going to Harvard Law School. With the help of her sorority sisters and one really cute law-teaching assistant, Elle proves that a blonde can make it in the high-stakes world of law. What an amazing line-up. 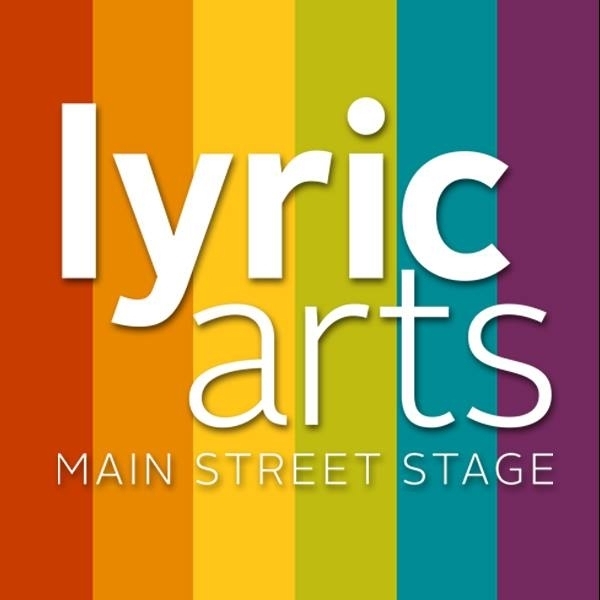 This looks to be a landmark season for Lyric Arts...can't wait!